If you are booked into my classes this weekend, can you please throw the following items into your kit if you have them..... I will have plenty of share product but if you prefer to work ahead, these are the items we will need. 8 Amazing Card Classes for October. 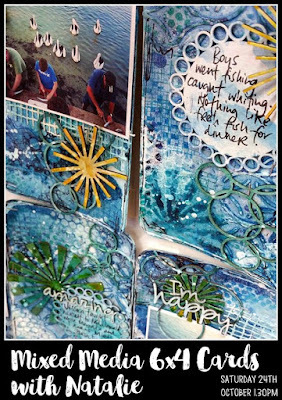 Did you know that we do lots of Card Classes along with all our amazing scrapbooking and mixed media classes? 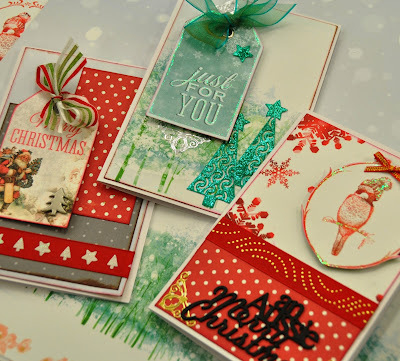 So I am going to share some of our card classes for this month with you now. We have four amazing card classes just in one week. First up is Kathy's Cards with Jane. If you are wanting to get ahead with your Christmas Cards then this classes if perfect for you. Jane has three cards designs, and your kit will let you make 3 of each of them with one of them giving you a fourth that's 10 cards in total. There is even an Aussie Christmas cards in this set! The Class is Monday the 12th at 10.30am - 1pm. Cost is $16 for the class and a $22 Kit. (you can chose not to use chipboard on your cards -and go with stickers to save a bit more on your kit - kit without chipboard will be $15). There is still room in this class, you just need to ring the store on 08277 1298 Monday at 9am to book in. 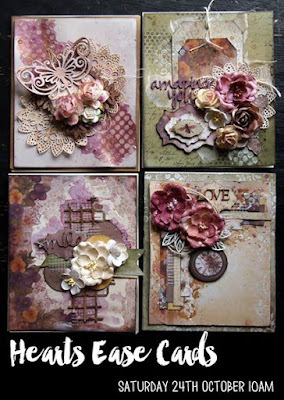 Belinda also has an amazing card workshop this week on Tuesday. Using lots of mixed media techniques, along with stamps, chipboard., sprays and more. This class is for the more adventurist ladies who are wanting to try something different. Belinda's card workshops are great fun and not to be missed, her quirky style is really on show here. holding a workshop for those wanting to make more challenging cards. October’s Cards are a Colourful Mason Jar themed cards. Cost of class $19 + Kit Tuesday 13th October 10am-1pm. 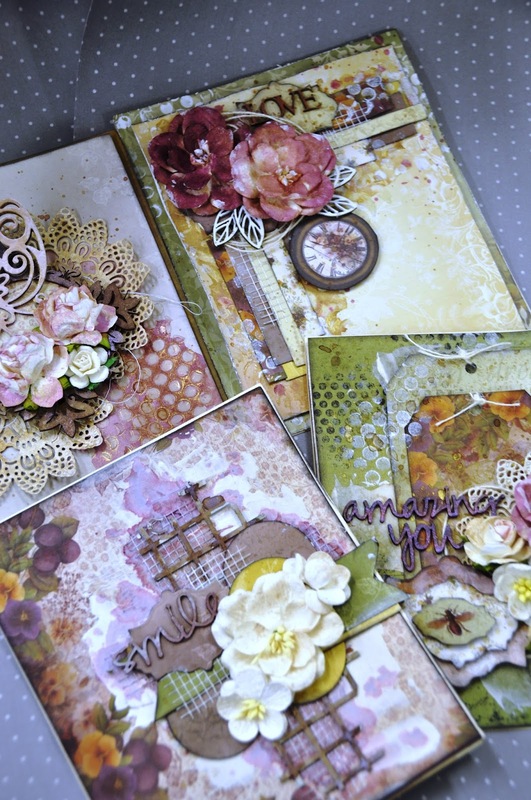 Jane is also teaching her specialty cards on Wednesday 14th at 10am-1pm. 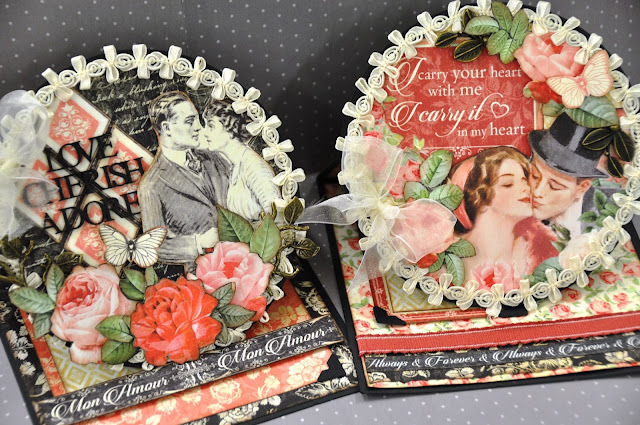 They are easel cards with a vintage love theme and would suite an engagement or wedding. Next up is Nat's Big shot Card Class. She has a set of four very pretty vintage cards. Come and create with Nat and bring your Big Shot or Cuttlebug. 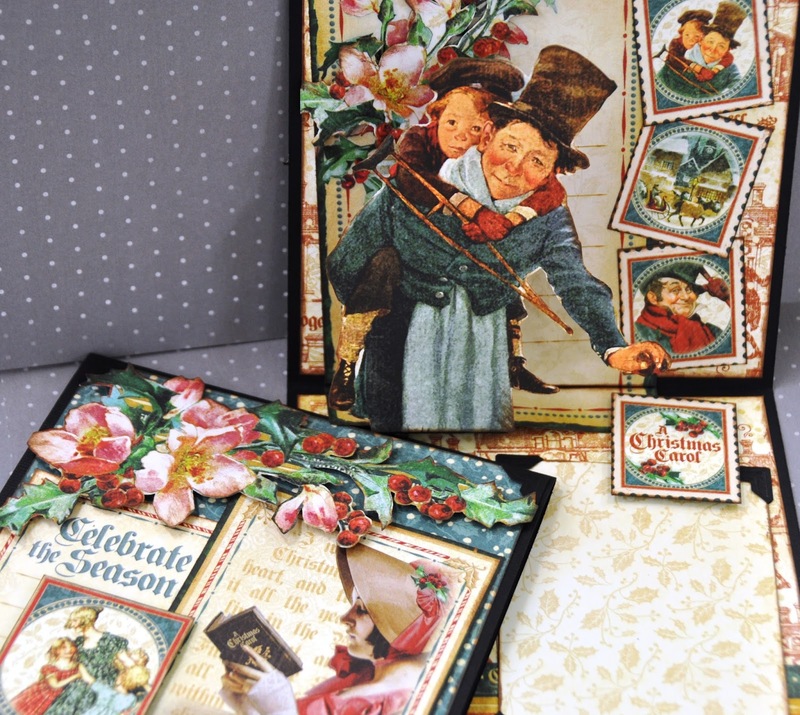 Create a set of gorgeous cards and impress your friends and family. Bring your plates and embossing folders with you. Please make sure you have your name on them. Cost of class $16 plus $16 kit Saturday 24th October 10am-12.30pm. Join us once a month and make some cards. Natalie has some great ideas… from the complicated through to the most simple of cards, join us for a morning of coffee, chatting and creating. Cost of class $16 plus materials used. Tuesday 27th October. 11am-2pm. Expand on your techniques and fine tune your skills using your Copic Markers. Beginners Class is essential & please bring your own markers. Cost of Class $16 + Kit. Monday 26th October 10am-12.30pm. Nat has been making lots of mixed media 4x6 cards. These are perfect for project life style layouts or card fronts. Nat has lots of wonderful techniques to share with you. Cost of Class $16 + Kit. Saturday 24th October 1.30pm-4pm. Last up for the month is Jane's Xmas Cards. 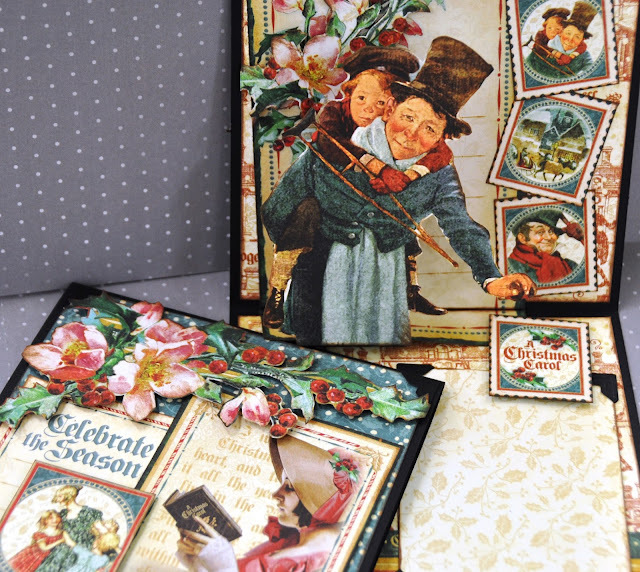 Jane has two lovely Xmas cards planned for this month. So if you need a head start then join her. they are pop out cards with a classic Charlies Dickens feel to them. Cost of Class $16 + $18 Saturday 31st October 1.30pm-4pm. All our classes still have room in them for a few more, but don't leave too late or you will miss out. We will re-open Tuesday 6th October at 9am for our 9th Birthday Sale. and a 25% discount Store wide. Sale will finish Saturday 10th October. We also have a table full of 50% - 75% items. 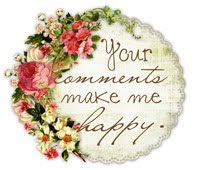 Including dies, stamps, flowers, embellishments and more.